Don’t miss an opportunity to give spontaneous gifts for no reason. While you are picking up supplies for your office, why not pick some up for a friend, co-worker or spouse? If you bake something, take half to a friend or neighbor who loves your cooking. If you buy a magazine subscription, order a second for someone else. Or, just send a thank gift or note to someone who helped you. The best gifts are the ones you didn’t even know you wanted. Make the whole year feel like a holiday! Keep a bottle of bubbly chilled and ready to open. This week, make a list of everyone in your life you would like to give a special gift to and start giving. A thoughtfully written card will do perfectly. These people will be surprised and you both will feel terrific. Lets face it, the only reason to give gifts is because you get pleasure from it. Spread the joy. Don’t hang around people just to kill time or because they happen to be the only friends you have. Either you fully enjoy them, or you don’t spend time with them. Do not accept anything less. This may mean that you need to let go of some relationships, which isn’t easy. Sometimes we stay with people out of habit, or staying in a relationship longer than necessary. This costs you vitality and will make it harder for you to attract people you really enjoy. If people around you are negative, whining, gossiping or complaining all the time, it will bring your spirit and energy down. Instead, find those who are positive go-getters. Go to lunch, volunteer, work on a project or committee together. Life is too short to waste with people who aren’t willing to treat you with love and respect. Create space for new friends and colleagues who will inspire and love you. Life is good, right? Here is the big question: what do you want to do? Some people are born knowing what their natural gifts and talents are, and they know what they want to do. Others are searching. The next series of 10 blog posts will help you discover your natural gifts and talents. Even if you already know what to do, continue checking these daily blogs. 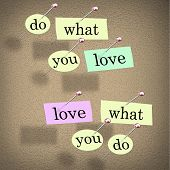 Are you happy about what you do? Are you energized by what you do? Are you excited by what you do? Research shows that the happiest people get paid for doing what they love. Lets get started! The next 10 blog posts will help you tap into your natural gifts and help you move in the direction you want to go.